The Next Generation Of Club Anthems! With the support of performers Sneaky Sound System, The Chemical Brothers, Young Romantic, David Penn, Above And Beyond the contrast of this selection is filled! A unique publication of club music of worthy and very famous producers and performers of our modern times! DMC provides a download service as part of their service for professional Disc Jockeys, radio stations and specific music-orientated professionals only, offering the sale of goods relating to DJing. Strictly DJs Onl! 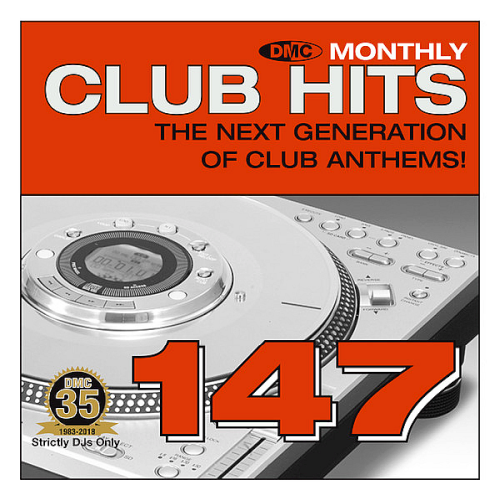 DMC Monthly Club Hits 147: The Next Generation Of Club Anthems!